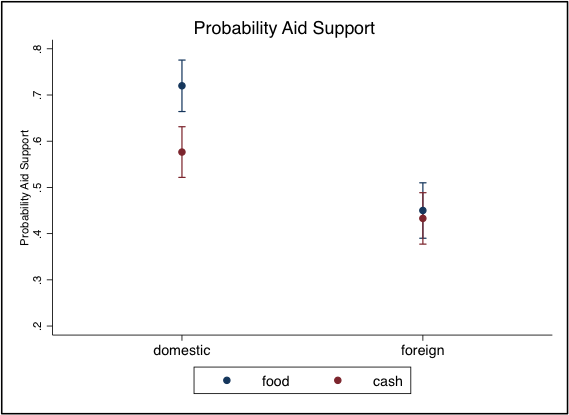 Foreign Aid for Institutional Development? I am of the opinion that an approach to foreign assistance embodying the spirit of the latter quote is more likely to succeed than the former. The thing with institutions is that they often reflect already existing social equilibria. The courts, the police, the military, the legislature, the stock exchange, etc, all reflect established norms and moral claims that individual stakeholders have on the system and on each other. 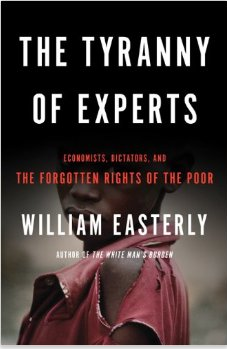 When Westerners foreigners come in (many of whom often have very little understanding of the social basis of the existing equilibria) they often tend to work at cross-purposes with the existing social compacts (a good example here is the phenomenon of mono-issue activism – think of Human Rights Watch fighting the World Bank at the expense of locals). Granted in some parts of the world these very social compacts need to be changed (e.g. misogynous social systems). But even in such cases the changes have to be grounded in local political arrangements that are self-enforcing. Media pronouncements from Western ambassadors are not enough. Many development academics and practitioners alike often neglect the fact that in European history (contemporary Western experience informs a lot of institutional proselytizing) political development (i.e. the creation of responsive and impartial bureaucratic institutions to manage the affairs of the state) was preceded by modernization and general economic development. In most of the developing world this relationship is reversed. Political development has become the independent variable charged with driving the process of modernization and economic growth and development. As a result, the mantra seems to be that if only everyone could get governance right then everything would fall in place and we’d all be on the road to becoming Denmark. May be this can be achieved. I remain skeptical. The Blair Commission set up to find British solutions to African poverty has recommended that the Continent get more billions in aid. There is no doubt that Africa needs all the money it can get, aid cynics’ criticisms notwithstanding. But that money, if it ever comes, should come with new ideas. Perhaps for a change the money slated for development programs should be channeled as credit to the nascent African middle class. I have previously criticized pro-poor development initiatives for their habit of merely keeping the poor afloat (Think of your average mother of six selling vegetables in a generic African slum). What Africa and its development partners need to do is channel the little development money it has in releasing the talent and aspirations of the middle class to create more jobs. This is not to slight Africa’s poor for lack to talent. It is a mere acknowledgment of the fact that it is the middle class that oftentimes has the education and connections to grow their small start-ups into businesses that create even more jobs. And in other news, Kenya has struck commercially viable gold. The hunt for oil and gas in the north and north east of the country is still on. One hopes that all the exploration craze will be accompanied by an even greater craze when it comes to investing in Kenya’s human capital. And yeah, I appreciate the irony in writing about foreign aid and Africa’s vast mineral wealth at the same time.